Razzmatazz is without any doubt one of the most popular clubs amongst both locals and the internationals. Located in the Poble Nou district of Barcelona, in a unique building associated with the city’s industrial landscape, Razzmatazz is arguably Barcelonas one and only super club. 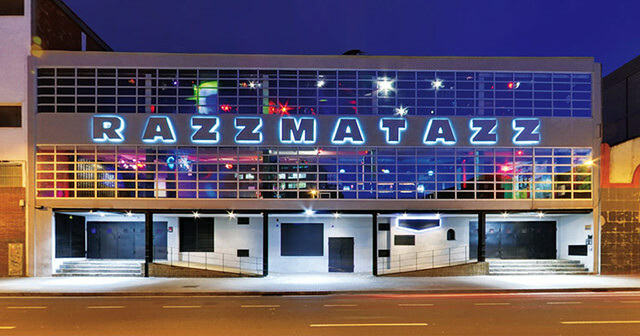 Razzmatazz has 5 different club rooms, all with their own bars, housed in one vast warehouse-style building. Each room is so distinct, you’ll feel like you could be in your own club all night. If you choose to venture out of one room, you could find yourself lost in a maze of confusing corridors and hot, heavy dancefloors. 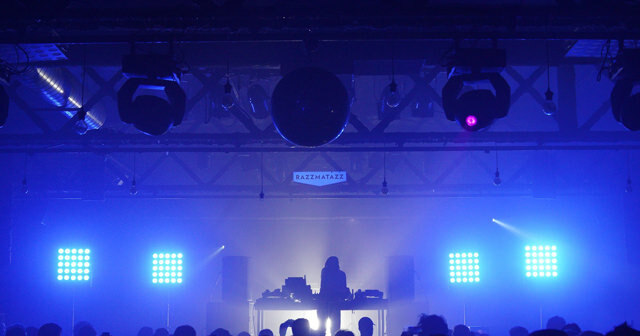 Razzmatazz offers you differing types of music and atmospheres. Downstairs you will find the Indie Rock area, upstairs the techno and two more chill-out spaces with pop and electro music. Each new week, Razzmatazz incorporates the emerging and upcoming musical trends fresh hot on the scene into its band programmes. When you walk into the rooms you’ll find new bands and DJs, placing Razzmatazz firmly as one of the key nightlife players on the independent music scene. Razzmatazzs programmes promote combinations and cultural mixes of nationals and internationals and have included exhibitions, celebrity appearances, galas and even movie shootings and publicity stunts! Razzmatazz is innovative and is designed for a very demanding clientele. This club is ideal to celebrate any kind of event as the multi-space transforms according to the needs of every individual client and their event. 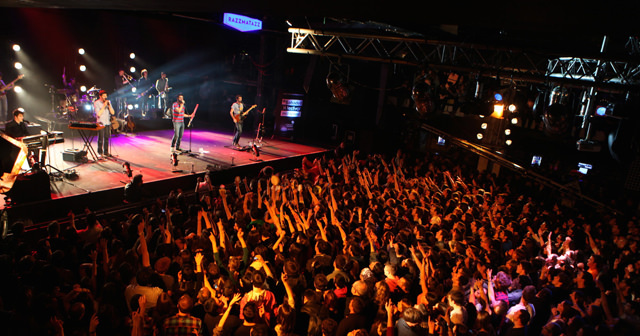 Razzmatazz has hosted of a lot of concerts of bands and artists like Smashing Pumpkins, Arctic Monkeys, Franz Ferndinand and The Gossip, validating its high calibre. Razzmatazz features five difference dance floors in distinct rooms. All of these areas are within one big warehouse building. The variety of music means you will always be able to find a genre you like. 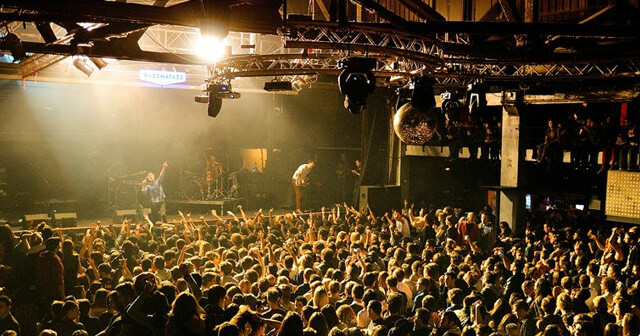 Razzmatazz is located in the El Parc i la Llacuna del Poblenou neighborhood of Barcelona, which his packed with nightlife spots, shopping and restaurants. Razzmatazz is also a few blocks away from the sea. How much is cover charge at Razzmatazz? There is usually a cover charge of around 15 Euros but it comes with a free drink. How long will I have to wait at Razzmatazz? This varies depending on events. What are the best nights to go to Razzmatazz? What is the dress code at Razzmatazz? Razzmatazz has a pretty casual dress code but we still recommend a collared shirt / jeans / dress shoes for guys. Avoid anything that can be considered sportswear (track jackets, jerseys, sneakers, hats, etc). How much do drinks cost at Razzmatazz? Expect to pay 10-15 Euros for cocktails. What kind of music do they play at Razzmatazz? Razzmatazz features numerous genres, all spread out in 5 different rooms. You can always expect some hip hop, pop, techno, EDM, and indie music. Where can I find a list of upcoming events / DJs at Razzmatazz? You can download the Discotech app to see upcoming events, and book tables for Razzmatazz.